For those who love early 80s synth pop – and I mean the real stuff, like Human League, Duran Duran, Spandau Ballet, Tears for Fears, etc. – you can’t get a nostalgic act much purer than Space March. 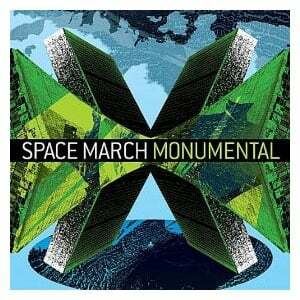 But they’re not just a shallow, ironic throwback – Space March is earnest and damn good. So poppy, so catchy, and so pitch perfect, you will wonder if they are covers of obscure one-hit wonders from the Rubik’s Cube era. Craig Simmons’s nerdy and nasal vocals are the only weak spot. Luckily, they’re less pronounced (and more distorted) here than on “Without This You Can Never Change,” an album similarly filled with synthy dance-pop gems but with froggier (sometimes cringe-inducing) vocals. If he had a more British-style (Simmons is Australian), “New Romantic” accent, Space March could be huge and single handedly bring back the ’80s. Vocals aside, I don’t see how any radio could resist these tunes. Bottom Line: Brilliant early 80s-style dance-pop gems.